When will be Crumbs next episode air date? Is Crumbs renewed or cancelled? Where to countdown Crumbs air dates? Is Crumbs worth watching? 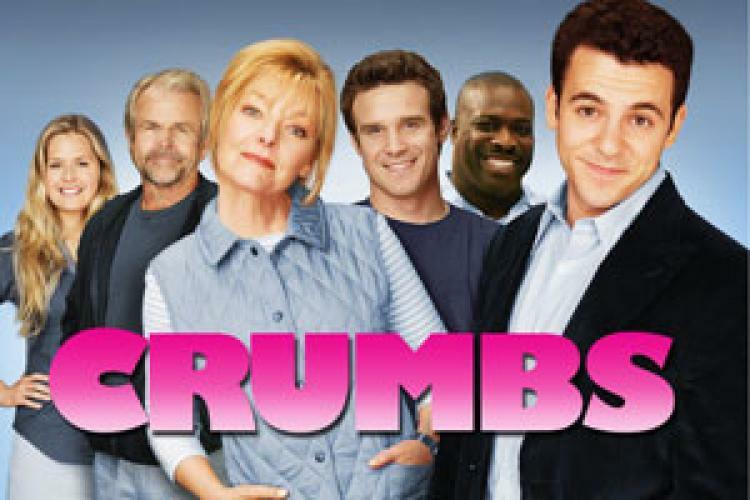 "Crumbs", the short-lived ABC sitcom, starred Fred Savage as Mitch Crumb, a failed Hollywood screenwriter, who returns home after some startling news. His mother, Suzanne, played by former "Saturday Night Live" star Jane Curtin is being released from the mental hospital after almost killing her husband, Billy (William Devane), by running into him with her car. Mitch decides to stay home and help his brother Jody (Eddie McClintock) run the family business. "Crumbs" also stars Maggie Lawson as Andrea Malone, a worker at the family restaurant, and Reginald Ballard as Elvis, who works at the mental hospital that Suzanne was living at. EpisoDate.com is your TV show guide to Countdown Crumbs Episode Air Dates and to stay in touch with Crumbs next episode Air Date and your others favorite TV Shows. Add the shows you like to a "Watchlist" and let the site take it from there.